The first settlers of Wise County, Texas, were the grandparents and other relatives of Henry William Fullingim, who was born October 17, 1914, on a farm three miles north of Decatur. His parents were Alfred Baker Fullingim and Mahala Ball Fullingim, both natives of Wise County. He is the youngest of eight brothers and sisters, Estelle Mills, Archer, Lena Finke, Ford, Virginia Sims and Alf, all of whom are living. His parents were descendents of English stock who settled in Virginia and were later Revoluntionary War patriots. Henry Fullingim, his greatgrandfather, was a Minister in the Methodist Episcopal Church at Talledaga, Alabama, in 1842. The Fullingims came to Texas in 1849 by way of Georgia and Alabama, living for several years in Lamar and Red River Counties before moving to Wise. His grandfather, Archibald Fullingim, and John Hale, who later married Archibald’s sister, first came to Wise County as surveyors. They then went back to Red River County for their families and settled near Decatur. During the Indian raids of the 1860’s, they were forced to leave, and moved to Dallas County for a short time. Both of H. W. Fullingim’s grandfathers, Archibald Fullingim and Carlo Bonaparte Ball, were enrolled in the Confederate Army during the War Between the States. Ball and his wife, Clarenda Conley, were natives of Kentucky and came to Wise County in 1849. In 1906, he moved to another frontier, Ochiltree County in the Texas Panhandle. Years before, he had donated the land for the Decatur Cemetery. Mrs. Archibald Fullingim (nee Virginia Morris) gave the land for the Oak Grove Methodist Church, located five miles north of Decatur, which is still in use. In 1916, Bill’s father moved the family to Lynn County, Texas, on the South Plains, where he had bought a section of land. During the great 1917-18 drought, the Fullingims “dried out,” and moved to Cottle County, traveling in wagons through Yellow House Canyon and the Matador Ranch. Fullingim bought another farm located six miles southwest of Paducah, on Salt Creek. Here, Bill grew up beside a colorful canyon of rainbow hues, dotted with plum thickets and cottonwood trees. He attended his first school at Salt Creek in a two-teacher school. His sister, Lena, was the principal. Bill and his brother Alf, now of Silsbee, Texas, learned to hunt and trap fur bearing animals, selling the furs to Funsten Brothers of St. Louis, Missouri. When Lena became the English teacher at Paducah High School, Bill attended school there. Lena, now Mrs. Carl Finke of Anahuac, Texas, later became a nurse and taught 25 years as a Professor at the University of Texas College of Nursing at Galveston. In 1928, the Fullingims and the two children remaining at home, Alf and Bill, moved back to Wise County, near the Decatur Cemetery land. When their father died in 1931, they went to live with their oldest brother, Archer, at Panhandle, Texas, where he was editor of the Panhandle Herald, a weekly newspaper. Both Alf and Bill played on Panhandle athletic teams. Archer was a U. S. Naval officer in the Pacific theater during World War II, and for the past eighteen years has been editor and publisher of The Kountze News, in the heart of the Big Thicket at Kountze, Texas. When Archer moved to nearby Pampa to work in the editorial department of the Pampa Daily News, Bill went with him and attended Pampa High School, where he played as a regular on the Harvester football, basketball and track teams, captaining each. He was a good enough athlete to win an athletic scholarship to Texas Military College at Terrell, Texas, playing under famed SWC coach, Frank Bridges. He was a regular on all teams the two years he attended TMC, which won the Texas Junior College Football Championship in 1933. 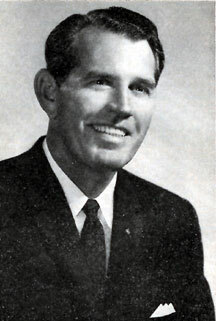 After finishing TMC, Bill enrolled at the University of Oklahoma, Norman, which was his brother Archer’s alma mater, and where Alf received his degree also. At Norman, Bill met Lucy Glee Hooper, the daughter of Dr. and Mrs. Issac Wayne Hooper, M.D. (nee Myrtle M. M. Richey), who had been a frontier Oklahoma doctor before statehood in 1907. She was a student in the OU School of Fine Arts and was a member of Orchesis, honorary dance fraternity, and had the leading interpretative part in The Juggler of Notre Dame dance drama, which is still annually produced and televised at Christmas each year. Bill and Glee were married in 1935. She is the youngest daughter of seven living children, Estelle Stucker, Winnie Hooper, Vival Barber, Henry Wade Hooper, Myrtle Belle Wilson, and Richey Lorette. During the years 1936 through 1940, Bill and Glee lived in several communities along the Texas Gulf Coast, where Bill worked in the oil fields. Their son, William Embry, was born in 1936 at Galveston and their daughter, Patricia Bernayz was born at Houston in 1939. In 1941, they moved to Washington, D. C., where Bill attended night law school for two years at George Washington College of Law. During this time, he worked in the office of Congressman Eugene Worley of Pampa, a friend of Archer’s. During the war years of 1942-46, Bill was production Superintendent at Briggs Filtration Company, a Naval Department defense plant at Bethesda, Maryland, where he was responsible for 300 employees working in shifts on a 24-hour basis. Briggs received the Navy E Award. In 1947, Bill and Glee returned to Texas where he went into the oil well servicing business at Odessa. The company grew a truck-unit at a time into an operation that, during the years 1950-60, employed an average of 35 permanent employees. Their children both graduated from Odessa High School and the University of Texas. William Embry was a U. S. Army officer in France for three years, where he married Chantal Ameslon, the daughter of Monsieur and Madame Andre Ameslon, longtime restauranters of Verdun, France. They have two daughters, Sophia, 5, and Diane, 4. Young Bill is an attorney with the Dallas law firm of Thompson, Coe, Cousins, & Irons. Patricia is the wife of Jeremiah Handy, also a lawyer, who is an Assistant U. S. District Attorney at San Antonio. He is the son of Mrs. Grace Handy and the late John F. Handy of Tennants Harbor, Maine, The Handys have a son, Jonathan, 1. Besides being a fine mother and homemaker, Glee has been the inspirational force behind her husband. She served as a Sunday School teacher in the First Methodist Church, Odessa, for many years and is a member of the Women’s Society of Christian Service. She was Regent of the Nathaniel Davis Chapter of the Daughters of the American Revolution, first President of the Mathew D. Ector Chapter, United Daughters of the Confederacy, and a member of the 17th Century Colonial Dames of America. Also, she was a charter member of the Odessa Jayceettes, a charter member of the Odessa Art Association, and a member of the Odessa Garden Club. Further, she has served on the Ector County Historical Survey Committee since its formation in 1957, is a charter member of the Permian State Historical Society, and was the first woman to be invited to participate in “Civil War Round Table,” Odessa. In 1960 Glee was the Chairman of the Ector County Democratic Women for LBJ. Among the civic contributions of which she is most proud are her Odessa Y.W.C.A. service in 1948, being Blue Bird then Brownie Leader for girls, and a charter member of DeMolay Mothers Circle, she also has worked with Rainbow Girls. She is a charter member of Chapter 1009, Order of Eastern Star. Bill Fullingim has been successful in his endeavors all his life. When he was an athlete, he gave it everything he had. He gave the same devotion to his studies, as in high school, when he won the Texas division of the National Oratorical Contest and competed in the regional finals at Kansas City, Missouri, or when he was the organizer and Editor of the Pampa High School newspaper, the Harvester. He achieved his goals in business. He has always been active in his church’s affairs, working through the years as a Steward, Sunday School teacher, and on the building committees of the First Methodist Church and Boy Scouts of America, Odessa. His civic work includes service as a member of the Odessa Jaycees, the Odessa Chamber of Commerce, and as a member of the Ector County Hospital Board during the major building of Medical Center Hospital in Odessa. But since entering Masonry in 1948, the Masonic Lodge and Masonic organizations have been first in his interests. He is proud to declare that his father-in-law, Dr. 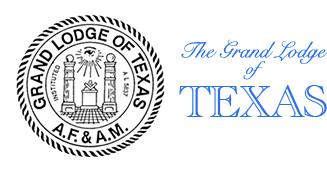 I. W. Hooper, was a Mason, and that his brothersin-law, H. W. Hooper of Midland, and D. L. Barber of Woodward, Oklahoma, are Masons as is W. L. Lorette of Odessa, upon whom Bill had the pleasure of conferring the Degrees. Further, two nephews, Jerry Bing Hooper of Edmond, Oklahoma, and Bob Hooper of Peoria, Illinois, are Masons. 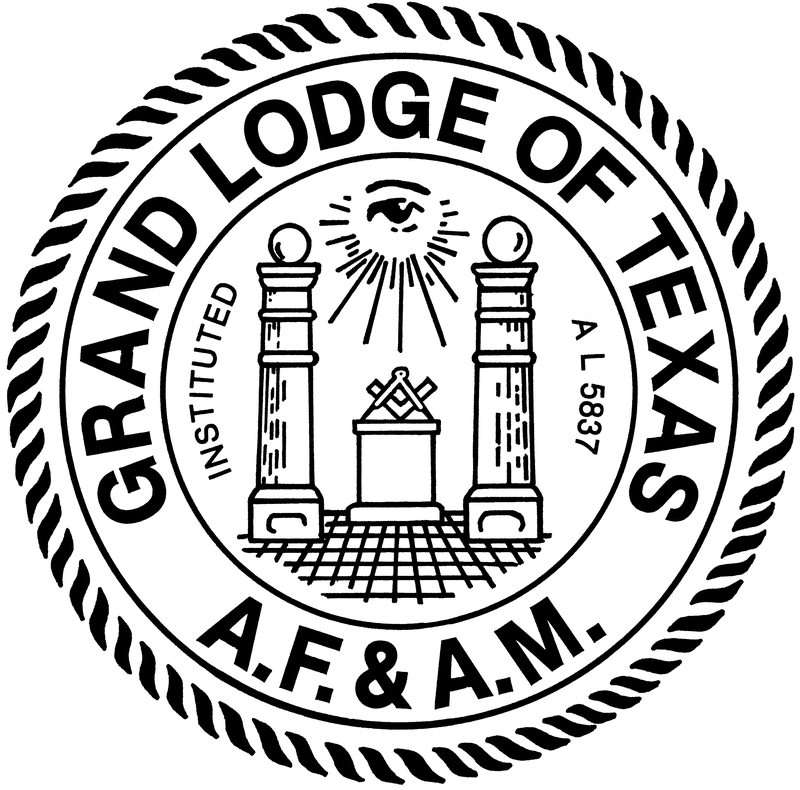 On his side of the family, his brother Archer Fullingim of Kountze and his brother-in-law Carl Finke of Anahuac are Masons. Among his greatest satisfactions was conferring the three Degrees in Masonry on his son, William Embry, in 1958 while serving as D.D.G.M. under Grand Master John G. Kemmerer, who, along with John T. Bean, G.S.W., also worked in the MM Degree. While serving as Grand Master, he conferred the three Degrees in Masonry on his son-in-law Jeremiah Handy, his brother-in-law Carl Finke, and his nephew Linneaus Hooper Lorette. He has never ceased to seek more light. He is a Mason 24 hours a day, 365 days a year. He was raised to the Degree of Master Mason on August 7, 1948, in Odessa Lodge No. 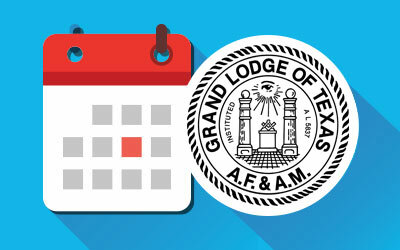 955, A. F. & A. M., and affiliated with H. A. McFarland Lodge No. 1338, Odessa, Texas, on June 27, 1953. He served as District Deputy Grand Master of the 82nd Masonic District in 1958. Also was a member of the Grand Lodge Committee on Grievances and Appeals No. 3 that same year. He served as a member of the Committee on Returns of Lodges U.D. No. 1 for the years 1961 and 1962, and was Grand Orator of the Grand Lodge in 1960. Brother Fullingim is a member of Sam J. Helm Chapter No. 445, R.A.M. ; Sam J. Helm Council No. 363, R. & S. M., and Odessa Commandery No. 110. He is also Herald of Saint Timothy Conclave, Fort Worth, Texas, Order of the Red Cross of Constantine, a 32° Scottish Rite Mason in the Valley of El Paso, having received the Knight Commander of the Court of Honour in 1955, an Associate Patron of the Order of Eastern Star, a member of El Mina Shrine Temple, El Paso, Texas, and member of Royal Order of Jesters, Court 34, El Paso, Texas, a member of the Advisory Council of DeMolay and for his outstanding work with boys was decorated with the Honorary DeMolay Legion of Honor.